How to Choose Party Bus for Your Event? If you are planning to book a party bus for an upcoming event, take your time to make a good choice. While it might seem like an easy task, finding the right party bus Toronto can be somewhat confusing given the multiple options you are likely to have. It gets even more complicated if you’ve never booked a party bus before. We will go through a few important considerations when booking a party bus. Hopefully, this will make the process a little easier for you and a group of friends. When do you intend to book the party bus? How many hours will you need it? These are some of the questions the rental company will ask when you call them to make a booking. Have the timing details with you since it will help them to check availability and also determine the cost. If you will need the party bus for a long time, expect to pay more. Most companies charge hourly rates but there are party buses that come at a fixed price per day. Party bus rentals usually have a maximum capacity. When you exceed this number, the rental company can even charge a penalty fee. It’s always recommended that you book a few extra seats instead of booking a limo at maximum capacity. This will help to accommodate any extra visitors you might have without going against the maximum capacity requirement. Is the party bus rental company licensed? You obviously want to deal with a licensed and insured party bus rental company. In the event of any damage or accident, the company should be able to cater for the losses. Find out if the party bus company is insured and licensed to operate in your area. What’s the quality of the party bus? When choosing a party bus, you’ll want to find out whether you will get all the features that have been promised by the rental company. If they send you a picture of the party bus you want to book, make sure you get that exact car. Ask about how well the party bus has been maintained. 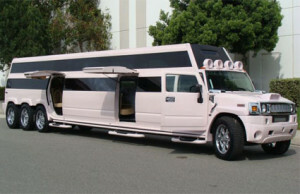 The best party bus rental companies have a reputation for maintaining the cars well and offering a friendly service. If you come across any reviews from customers complaining about receiving a dirty party bus, look the other way. What extra features are offered? Party buses can have a wide range of extra features like air conditioning, the latest sound systems and a dance floor, all designed to make your event enjoyable. It would be wise to find out from the rental company what extra features come with the party bus Toronto that you intend to book. Most importantly, discuss with the party bus rental company the rules and what is expected from you once you book their car. For instance, find out if you will have to pay an extra fee in order for the party bus to be cleaned after use. All these will prepare you to have a pleasant experience when booking a party bus.